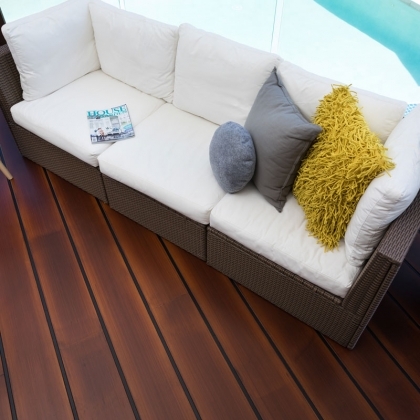 A winning combination of durability and enduring style! 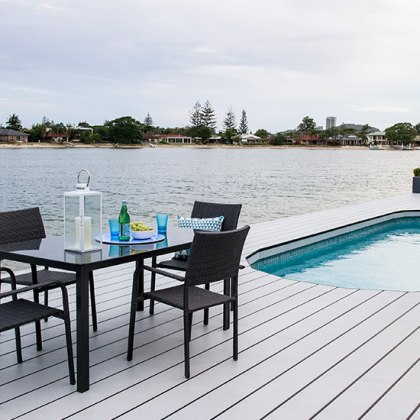 HardieDeck™ decking is made from James Hardie’s premium fibre cement. 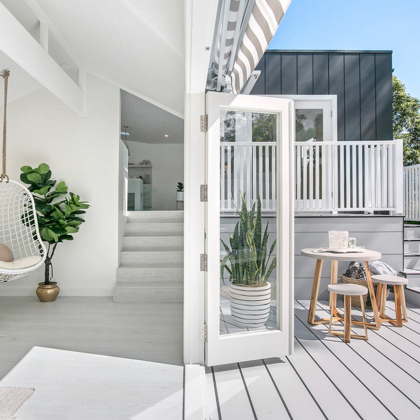 It creates a clean look to connect a stylish interior environment with the outdoors, without risking damage from the elements. 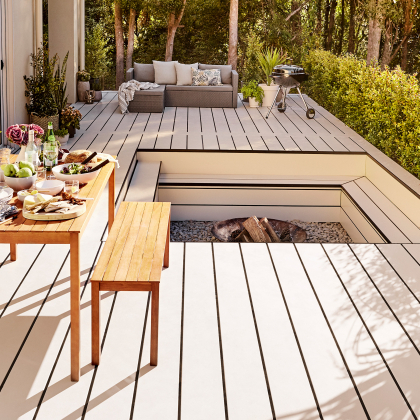 Smooth, wide gap-free boards and freedom of colour choice makes this cement decking a stunning outdoor floor. 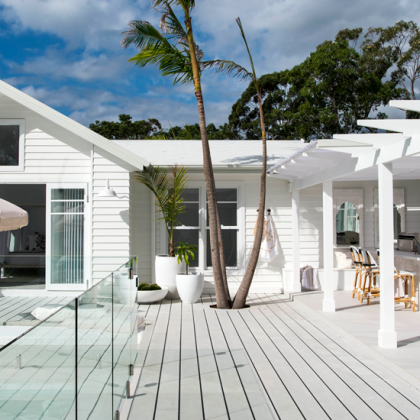 See how Dean Ipaviz and his crew transformed this lack-lustre family backyard into a coastal-inspired space perfect for outdoor living using HardieDeck. © 2019 James Hardie Australia Pty Ltd. ABN 12 084 635 558. ™ and ® denote a trademark owned by James Hardie Technology Limited.